Wonderful live-work studio condo at the Maclovia Studios. 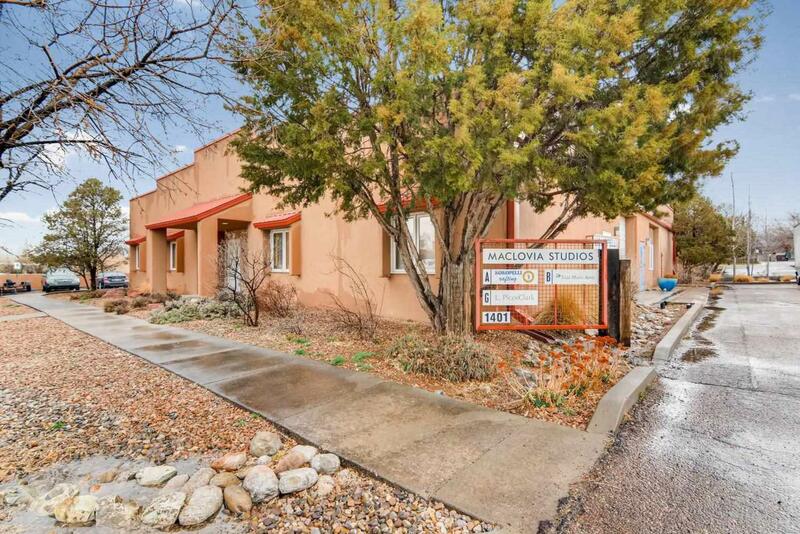 Unit H offers a main artist studio/workshop room with very tall ceilings and overhead door (tall garage door). Two rooms are off the main studio space that can be used as a bedroom, living room or office. Main office/living area with front door access to outside. Second main office/living area/bedroom. Full bathroom with jetted bathtub. There is a kitchenette for easy live/work. This unit orients toward the northwest. This unit is leased through April, 2020.